Need help with your animal? There can be many challenging times for pet owners. Perhaps your animal is having behavior issues? Are you in the midst of a financial hardship and need some help? Need to move and worried you cannot take your animal? Need low cost basic veterinary care? MADACC feels that before you consider giving up your animal, you should explore the resources available to you. Many times these challenges can be overcome and you can keep your companion with you. Many people find that their pet has some behavior that they are not happy with, whether it is difficulty with housebreaking, running away, or bad manners. There are several resources out there for you to get some help with behavior issues. 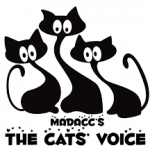 MADACC’s Cats Voice Volunteer Group offers free advice for cats with behavioral issues. 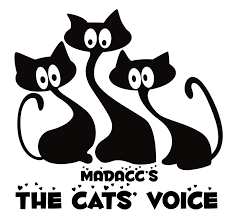 You can send them an email at catsvoice@madacc.org—please describe the problem in detail and advise the best day and time to contact you and provide a phone number if you would like to speak to a volunteer. Wisconsin Humane Society has a behavior help line, and offers many free tips to help with behavior issues. They also offer very affordable training classes to help in a hands on setting. The ASPCA has a wonderful site which can help with dog and cat behavior problems. Wisconsin Humane Society has a program for those who need regular assistance. MADACC often has food available for those in need. Call ahead to see if we have food for your animal 414-649-8640. • MADACC does not offer veterinary services of any kind other than low cost spay/neuter and vaccines. Currently, there are no shelters or humane societies that provide low cost full veterinary services available in our area. We encourage you to speak with your veterinarian to see if there are other financial or medical options for you if presented with a scenario that is overwhelming for your budget. Wisconsin Humane Society has compiled a list of animal friendly housing all over Milwaukee, Kenosha and Racine. There is also a website here that provides a tool that allows you to select for pet friendly housing. Find a guide on how to find pet friendly housing here. We know that situations may arise in anyone’s life where an animal can no longer be kept. We feel that people in this situation need assistance and not to be judged for these circumstances. Finding a new home for your animal can seem daunting, but there are several options available to those who for whatever reason can no longer care for a companion that they love. MADACC is the place to take any stray or lost animals, for owners to find them. While we run a limited adoption program, we are not primarily an adoption facility, or traditional humane society. MADACC can accept owner surrenders if necessary, and there is a $100 surrender fee for this service, as this animal will be taking space and resources that need to be made available for animals in crisis. We ask residents of Milwaukee County to contact Wisconsin Humane Society (WHS) if they are no longer able to provide the best home for their companion. WHS has a wonderful adoption program, with three facilities and can offer animals exposure to many potential adopters. During certain times of year, Wisconsin Humane Society might have a waiting list to bring in animals. They will always ask you to make an appointment, but can make exceptions for individuals in an emergency situation where they must immediately give up the animal. They do ask for a small surrender fee, but again, accommodations may be made for those with limited means and in a crisis situation. The Wisconsin Humane Society also runs a wonderful “DIY” re-homing program where owners can list animals available for adoption straight from their home to yours. Have a purebred dog that you need to surrender or find a new home for? There are many local and national breed rescue groups available for just about every breed of dog out there.